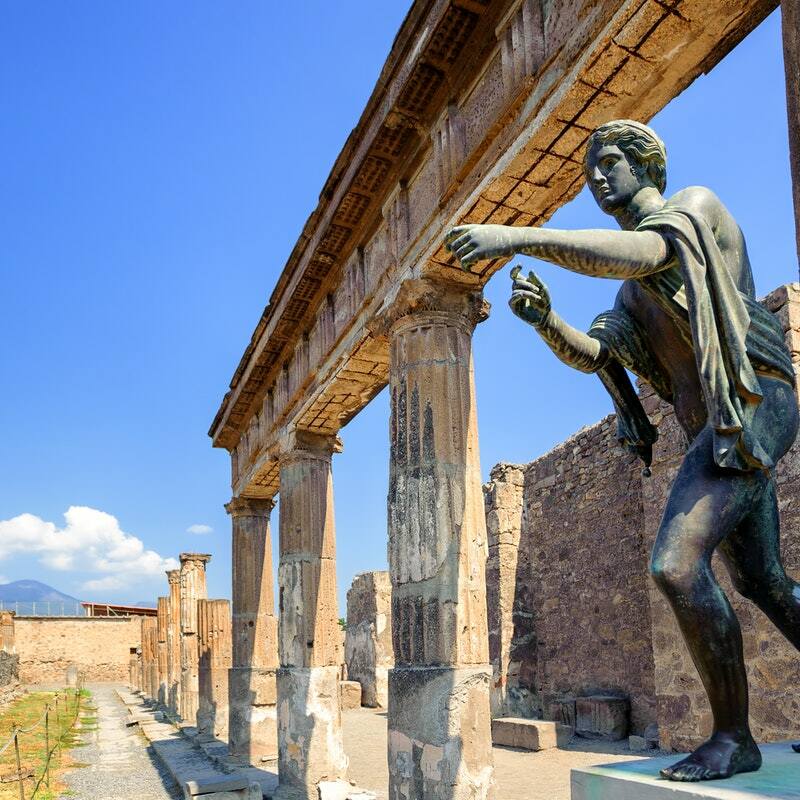 Pompeii has very ancient origins, almost as much as Rome. Rich in monuments and squares, it is the city of the Belpaese - perhaps more than any other - in which history lives and is told under the enchanted eyes of millions of tourists. You too have not been able to resist its charm, have you? 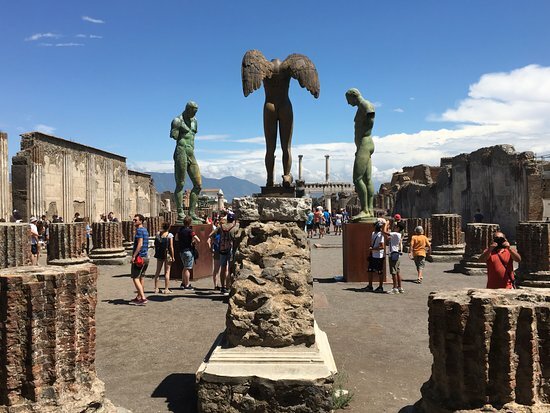 Don't be afraid, even if you have little time or you're just passing through work, you can visit Pompeii. Nothing is impossible if you really wish, as long as the alarm sounds early in the morning. Pompeii is well connected. 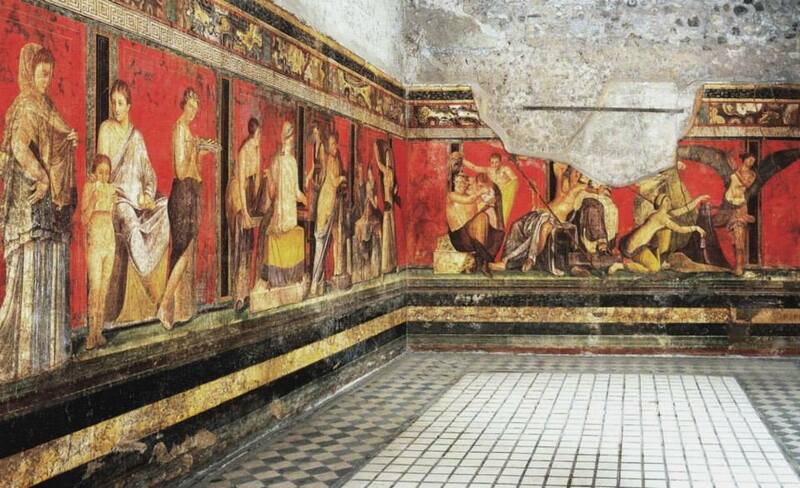 · Devote a full day to the Pompeii excavations. · Make a regenerating stop for an aperitif after visiting the Villa of the Mysteries and the Sanctuary of the Virgin of the Rosary. 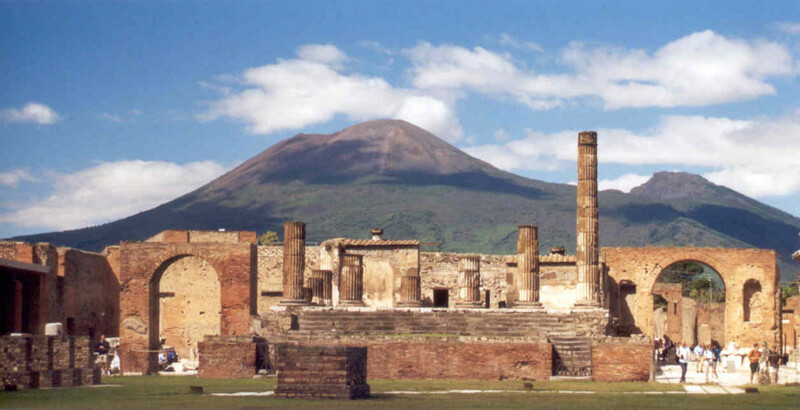 First option, the Pompeii excavations, here are some things to visit inside. Just a few tips for you: to avoid the queue, buy the online ticket (official ticket office here) and remember to print it, wear comfortable shoes and bring with you sandwich, water, smartphone for photos, summer sunscreen and umbrella in winter there is so much to see and you have to walk. Entering from Via Marina you immediately have the opportunity to see the ancient center of Pompeii inside the archaeological excavations. The Forum is the beating heart of the city, an economic and cultural religious center, an Agora of political debates that inflated the population. In the 2nd century BC the Forum was enlarged: the traditional tuff paving was replaced by the travertine one, still widely used today, the square was enriched with numerous artisan shops and public buildings. In the center stands the temple of Apollo, one of the oldest cult buildings in Pompeii. In this place several gods were worshiped including Apollo and Mercury. The found statuettes are found in the Archaeological Museum of Naples. It is the oldest stone building ever discovered, dating back to 80 BC, it was the scene of bloody battles between gladiators and has a capacity of 20,000 spectators, you can easily reach it from the Forum by taking via dell'Abbondanza. Access to the arena was through a tunnel, the crypt is connected to four entrances. Unlike the other Roman amphitheaters, the Pompeian amphitheater has no underground passages, at the top there are holes used to support the arena covering in order to protect the spectators both from the sun that is too hot and from the rain. Did you know that Pink Floyd played in this timeless place in 1971? They recorded their Live in Pompeii, a concert without an audience, as if to pay homage to the souls of warriors fallen in battle. One of the most exciting pages in the history of Rock. I want to give you a little suggestion: if you have the chance to stay until sunset, via dell'abbondanza is a truly surreal scenario for a walk. You will have the feeling of finding yourself suspended in time between dream and reality. If you are a lover of ancient history, you can't miss the Casa del Faunosi located not far from the Forum, in via della Fortuna. This ancient Roman villa occupies about 3,000 square meters inside the archaeological excavations, and is one of the oldest and most majestic houses in the city. Its greatness suggests that it belonged to a leading exponent of the Roman nobility. Its name derives from the Faun, Roman divinity of the woods and of nature, its small bronze statue is found in the atrium in the center of the impluvium. Surrounded by large gardens, the structure is characterized by more entrances. The door on the right led to rooms for personal use: bathrooms, stables, baths and kitchen. The left door instead opened to the sector of representation. The floors are covered with mosaics while the decorations date back to the Pompeian style. The center of the house was adorned with a mosaic depicting the victory of Alexander the Great over Darius king of Persia, currently on display at the Naples museum. 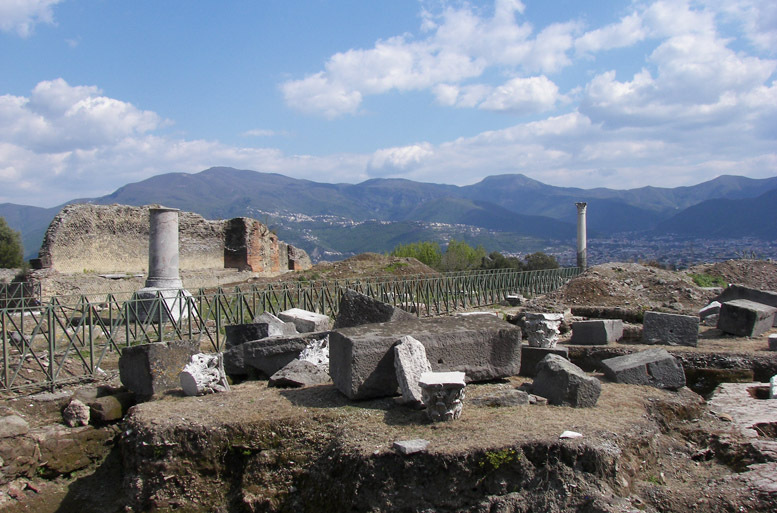 Little curiosity, it is thought that the villa had belonged to the nephew of the tyrant Silla. Located a short distance from the Casa del Fauno and the Sanctuary, the Teatro Grande was built in the 2nd century BC Horseshoe staircases were built using the slope of the slope. The structure could accommodate about 5,000 spectators, each number was reserved. The upper staircase is divided into 7 sectors and is supported by a ring-shaped corridor. The staircase was protected by a wall that supported the velarium, a mobile tarpaulin that sheltered the spectators from the weather. The situated stage and the scene were equipped with statues and marbles. On stage the famous comedies of Plautus and Terence were represented.